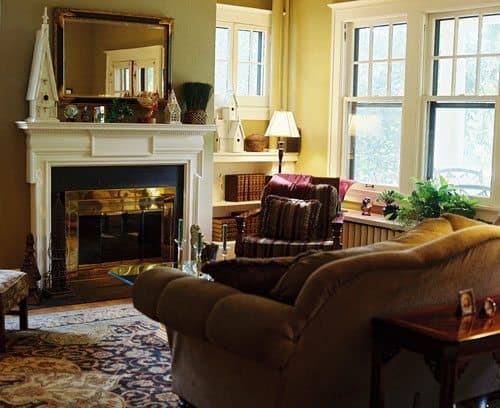 The cozy Brown Street Inn is another good choice for lodging in Iowa City, IA. This is not your father’s hotel room anymore. No, today’s travelers are seeking many new places and ways to bed down during their travels. We present a wide range of places to stay, except for the traditional hotel in this roundup of the many lodging opportunities available today. 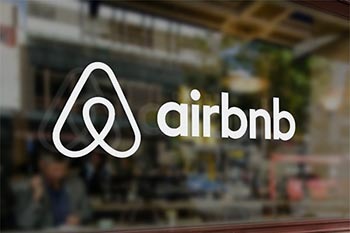 As people are beginning to look for cheaper ways to lodge, Airbnb is becoming more and more popular among both the younger and older crowds. With their multi-billion valuation, this is perhaps the fastest growing lodging company ever built, and they don’t even own one hotel! Founded in 2008, Airbnb is a lodging site that allows people to rent out their rooms, apartments, and houses to people looking for somewhere to stay. With Airbnb hosts in over 190 countries and 34,000 cities, you’ll be sure to find a rental that fits your unique taste. Whether it’s an air mattress on the floor, a pre historic castle, a beachside chateau, or a yacht, Airbnb has a wide variety of options. Staying in a stranger’s home might not sound like the ideal situation, but Airbnb has millions of people hooked on using the site. When searching for a property, there is a whole checklist of criteria that you can fill out. Whether you’re by yourself, have 10 kids, or absolutely need an inground swimming pool, there are properties that fit the description. After putting in your preferred dates, you can either select the entire place, private room, or shared room. If you’re apprehensive about who your host is, luckily Airbnb provides host’s profiles, verifications, and reviews. Phew. Once you submit your reservation request, the host has 24 hours to accept it. Keep in mind that Airbnb takes 3% commission for every booking a host makes and anywhere between 6-12% for guests. Upscale Airbnb’s have also been taking over the vacation-rental market, especially for those who are hotel snobs. It is possible to find a home, with the same service and treatment as a grand hotel, without having to empty your wallet. One luxury villa listed on Airbnb includes a hot tub, daily maid service, and chef, and someone who lights the fire on the terrace every night. Here’s the best part, it’s only $90 a night per person…you can’t get that at a hotel. If you’re looking for a more local experience outside of the typical hotel stay, then Airbnb might just be the best option for you. It says it all in the name…Couchsurfing. If you’re a solo traveler looking for a vibrant way to meet new people, why not crash on a stranger’s spare couch? I promise it’s more fun than it sounds. Hospitality on Couchsurfing is free, but don’t bury yourself in your room and become a hermit, you’ll be missing out on what the experience is really about, Cultural exchange! Couchsurfing is a low-cost way to meet local people and visit local places. Meeting your host beforehand is also easy, whether it be chatting through the sites online conversation board or meeting up for a drink prior to the live in. So fill out your profile, browse your options, and say hello to a whole new lodging experience with Couchsurfing! If you don’t mind sharing things, particularly your home, then HomeExchange might be right up your alley. HomeExchange is a house swapping vacation alternative where you can stay in someone else’s home, while they stay in yours. It not only saves money but allows for free accommodations, not to mention it’s a bonus if an automobile is included. Listing your home is easy, make sure to include whats unique about your home. Does it have a backyard hammock? A beautiful skylight? Your swapper will want to know! By pairing with like-minded people, you can have your ideal vacation and travel like a local at the same time. VRBO stands for “Vacation Rental by Owner” and is one of the first sites to begin offering vacation homeowners the opportunity to rent out their homes and apartments. Similar to Airbnb, VRBO allows guests to rent out properties that owners are not currently staying at. With VRBO you can fill out where you want to stay, for how long, and how many people will be lodging. A simple search engine finds available properties that fit your criteria. Each property has its own information page filled with photos and an overview of the accommodations, you can also give the owner a call if you have additional questions. What makes VRBO so remarkable compared to other renting sites, is their guarantees and insurance plans that protect your booking. For a small percentage of your total rent, you can cover cancellation fees or accidental damage to the property. With over 800,000 active listings, it’s not hard to find the perfect rental home on VRBO! FlipKey is a TripAdvisor company that features over 300,000 vacations homes and rooms in over 11,000 cities throughout the world. In the rental industry, FlipKey features the largest collection of guest reviews and rental photos, that way you don’t have to worry about getting scammed. FlipKey only has the options of private rooms or entire home rentals, and there are several ways to contact a property owner. Either send an email inquiry, fill out an online form on the website and submit it, or call the phone number listed. FlipKey is another great way to rent out a property and have a more in-depth experience in the place you are visiting. Housesitting is not based on money, but on free exchange and trust. Mind My House is a global house sitting matching service which provides online tools for homeowners and house sitters to connect with one another. For a $20 annual fee, sitters can browse the site in search of a house sitting opportunity anywhere in the world. With mutual agreement, a house sitter follows the property owners rules, tending to the houses needs and maintaining the home, whether that be taking care of pets or watering the plants. Although house sitting comes with more responsibility, it is the perfect for travelers looking for long-term and low-cost lodging. Plus, you might get to take care of some pretty cool pets along the way. Capsule hotels offer super cheap accommodations for super small sleeping spaces. In Japan, Capsule Hotels are a cheap yet futuristic means of spending the night. The tiny rooms of Capsule Hotels typically range from $30 to $50 per night, and that price may come with high-speed internet access and basic amenities. There are some rules, however, that distinguish these quirky bunks from other hotels. For example, shoes are typically not to be worn around the hotel and should be left in a cubby by the front desk. You’ll have a key for a locker in which to put your things and you should definitely make use of this storage locker, especially if you have valuables, as there is nowhere else to put your stuff. Bathing in Capsule Hotels is often communal so you may have to bathe with others, and don’t forget to cover your tattoos as body ink has negative connotations with the Japanese! If I have one recommendation, it is to be a courteous neighbor as the walls are very thin between capsules! If there is one thing that there are plenty of, is college universities. To no surprise, most of them are vacant during holidays and summer break, leaving them empty and open for use. As a way to keep the incoming steady, many universities in both the United States and abroad often rent their rooms out for short-term stays. Rates typically run somewhere between $35 and $75, and usually include all the amenities, like kitchen access, lounge space, bathrooms, and sometimes even the local transit. Booking a college dormitory isn’t as simple as booking a hotel, you have to go through the Chamber of Commerce or the college town’s website. Once you have a list of the colleges in the area you want to stay, you’ll most likely have to visit their website or give them a call. Off-season dormitory rentals aren’t usually advertised, so sometimes you have to do some digging. Be assertive, make sure you ask the college’s housing services exactly what will be included, sometimes you can even negotiate the price. Make sure you bring your own bedding, dorm rooms are stripped down to the bare minimum in the summer. 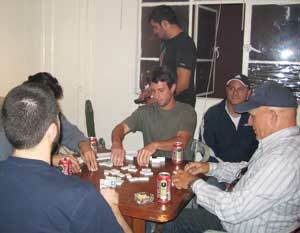 Hostelers in Granada’s Albaicin, in Spain. An often overlooked resource, Hostelz.com is the only comprehensive worldwide hostels database. The site includes free listings for all hostels worldwide, not to mention reviews, photographs, and a reservation system. A hostel is like a hotel, except you have a bed in a dormitory, shared with other travelers. This means you pay a lower price, but you give up the luxury of a private room. The website relies on word of mouth from travelers to spread the word, rather than spending money on advertising. Hostelz search engine checks hostel booking websites to find the best prices and availability for the dates requested. A hostel is a great place to stay for anyone looking to meet new people. More often than not, the younger crowd tends to stay at hostels. So if you’re looking for a new friend to grab a bite to eat with in an unfamiliar city, then a hostel might be the place to start. Yotels are famous for their electric fold-out beds, which go from a comfy couch to a double bed. 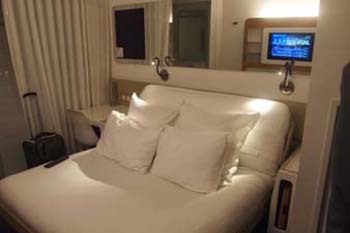 Here is the NYC Yotel property. Inspired by first-class luxury airline travel, the hotel brand uses advanced technology to enhance the smart cabin experience. Yotels are city hotels that take the elements of luxury hotels and make smaller and smarter designed cabins that offer a community experience among guests. Although the cabins can be small, there is no shortage of big benefits. Each room comes equipped with an adjustable SmartBed with a gel mattress, monsoon rain showers, adjustable mood lighting, and Technowall with smart TVs, and multi power points.